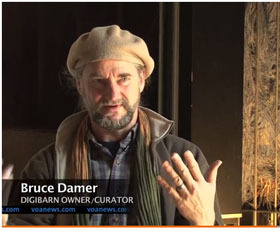 "DigiDude" DigiBarn curator Dr. Bruce Damer welcomes you to REBOOT! 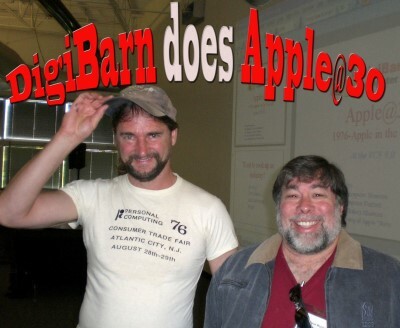 This DigiBarn newsletter (#24) comes to your inbox after 7 long years (our last was in 2009) but that doesn't mean that there has been no activity! Far from it, the DigiBarn has continued to collect artifacts (thanks!) 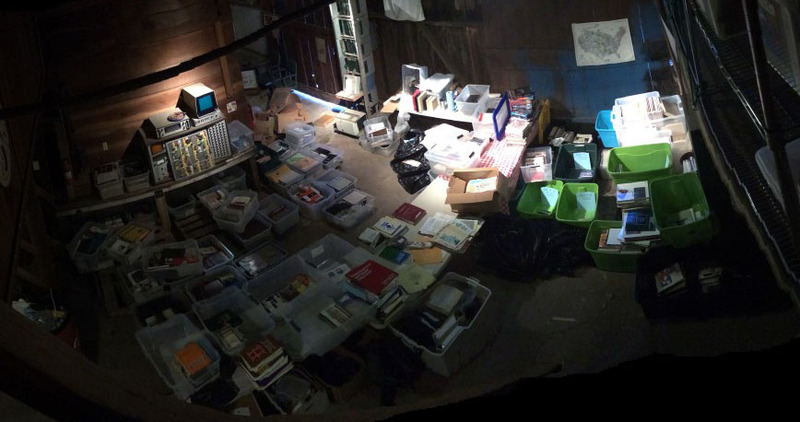 and stories of pioneers of computing and now is undergoing a total renovation and reorganization of the collections. See our story below and let me know if you would like to join the effort. DETAILED NEWS OF THE DIGIBARN and its "REBOOT"
2. 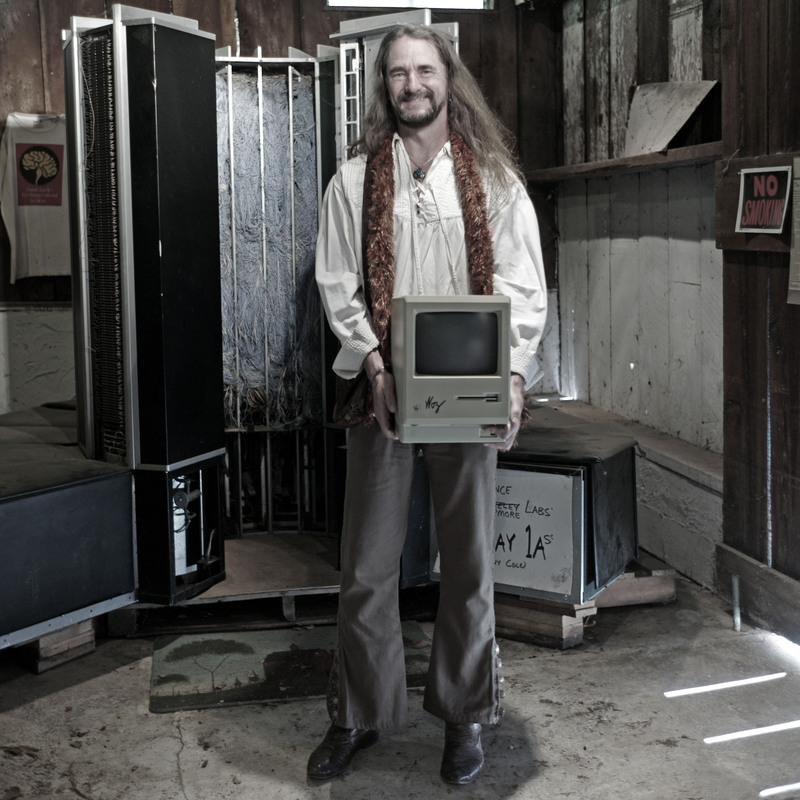 DigiBarn featured in news stories around Apple's 40th anniversary (April 1, 2016)! 5. Catch all DigiBarn TV videos on our new YouTube Channel and follow us on Facebook! 10. The worlds first microcomputer (?) the Sac State 8008 (1972-3) PROMs dumped! 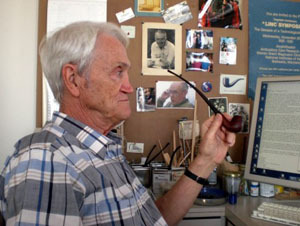 With his work in the late 1950s and 1960s designing the TX-0, the TX-2 and the LINC, Wes Clark created the first experience of what we today call "personal, interactive computing." Using the TX-2, Ivan Sutherland created Sketchpad, the ancestor of all interactive graphics systems, which was an inspiration for Douglas Engelbart's later oN-Line System at SRI. The LINC is considered to be the first workstation, built by the user from a kit, then transported to a lab, office and even used in a home. 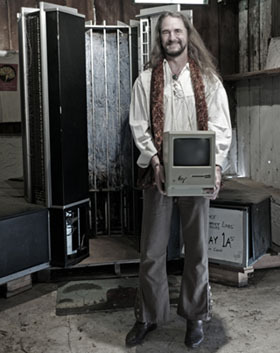 Alan Kay wrote that "..the feel of the LINC was the feel of personal computing." 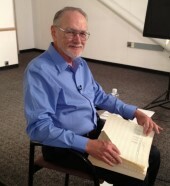 When we interact with the screen of a computer or touch a tablet or phone today, we are experiencing a vision first brought to life decades ago by Wes Clark. When we heard the news, Galen and I stood by the LINC in the DigiBarn for a quiet moment of remembrance and deep appreciation of a truly great man who humbly with humor, wit and genius changed our world (and who would rap your knuckles for saying so). This little known product and company was at the seminal moments of the birth of not only the microprocessor but of the concept of networked computing itself. Its also an example of pretty funky (aka hip?) 70s style video! 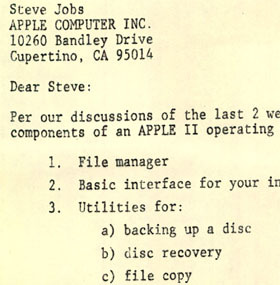 so check it out and see if you have anything there we are desperately seeking (Apple 1, or weird prototypes, or a front bezel for a Lisa 1 anyone?). the form has a new security feature so you have to enter that automatically generated nonsense word, it prevents the posting robots from finding us! If you want to be unsubscribed please let us know through the form above and provide the email address you are receiving this newsletter on and it will be taken care of promptly. Digibarn News only comes out two or three times per year so it shouldn't clog your inbox! Alternatively, simply reply to this email with "unsubscribe" in the subject. As you can see, there has been a LOT going on!